We all have a favorite sofa, couch or armchair that has not stood the test of time. It has been in the household for a long time, and has become part of the landscape. What’s more, we tend to grow attached to such items. And everyone knows how quickly pieces of upholstery get covered with dirt and stains of various origin, and how difficult it is to clean these. Most people directly throw these out on the garbage pile, instead of struggling to restore them to the way they used to appear. Even a lot of cleaning agencies stay away from upholstery cleaning, and those that do perform such services rarely achieve any results that they care to boast with. It is no surprise that people just throw their sofas and chairs out. Our cleaning agency, however, prides itself on the special upholstery cleaning package that is guaranteed to restore to your upholstery the look it used to have when it was fresh out of the store. 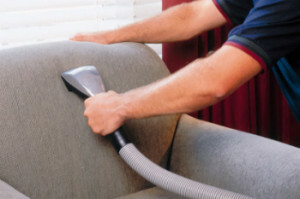 The difficulty in the cleaning of upholstery is due to the complex processes involved in its production. The composition of a sofa, recliner or armchair includes different materials that are the main reason for the problems you experience when you try to clean any of these. You need to think twice before attempting to clean such an item, as using the wrong product or cleaning technique can permanently damage it. The job of our team of professionals is to examine your item and decide which cleaning technique is most suitable for it. They will decide whether it is best to vacuum your item, steam clean it, or use a mix of chemical solutions on it. They may also go for a combination of these techniques. Our workers will not give up on your item before disposing of any and all stains, marks or scratches it may have. You can be sure that our services are the cheapest you can find. You could check them here. Even the nasty smells that tend to hang around upholstery will be removed, and your item will be perfumed. Naturally, the whole cleaning procedure takes time, as it is a difficult and tricky one, but be sure that you will not be sorry once you see with your own eyes the wonders our workers have done for your upholstery. So, call us right now and let us help you!